Home / News / Opinion / Tiglao to Ex-COA Commissioner who called out Pres.Duterte: "Ang kapal nito na sasalita-salita pa ngayon.."
Tiglao to Ex-COA Commissioner who called out Pres.Duterte: "Ang kapal nito na sasalita-salita pa ngayon.."
Amid the controversial issue that rises between President Duterte and the Commission on Audit (COA) , because of the President's recent remarks against COA, a lot of people then again reacted to it. Some defended President Duterte from criticisms over his statement against the commission and some sheltered COA from the President's annotation. It has been reported that on Sunday, September 17, 2018, President Duterte slammed the COA over its prohibition on some government spending and joked that COA employee should be pushed down the stairs. The President allegedly made these remarks after Ilocos Norte Governor Imee Marcos claimed that COA does not permit cash advances for the purchase of building materials planned for disaster victims. Malacañang already explained the President's side and earlier said that the latter's remarks just demonstrates that he wants to just sped up the relief and rescue efforts for casualties of cataclysms and cut limitations in the delivery of assistance in times of crisis. Now, Rigoberto Tiglao, a Filipino diplomat, writer and political analyst, who is patent for being fearless in speaking his mind over various national and political issues, took to social media to expressed his dismay to Mendoza for calling out the president and said that the woman is shameless for speaking and claiming that COA is a respected institution. "Ang kapal nito na sasalita-salita pa ngayon, claiming COA is a respected institution. 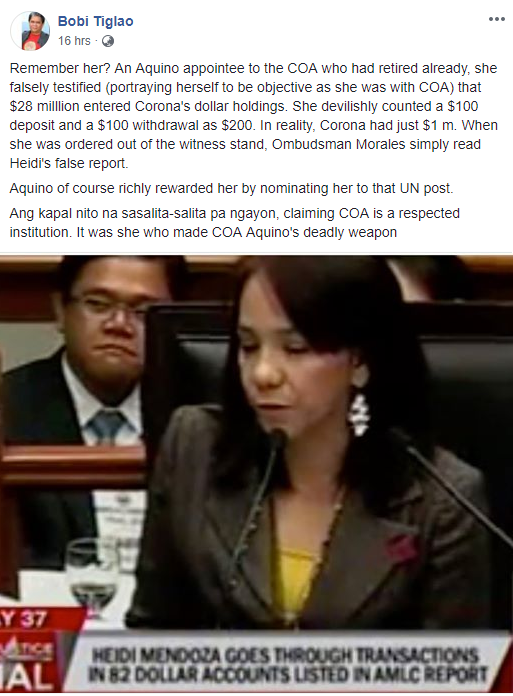 It was she who made COA Aquino's deadly weapon", he wrote. Tiglao also shared an article published by Manila Bulletin regarding Mendoza's answer to President Duterte. Tiglao surprisingly recollected and introduced the former commissioner as a false star witness versus the late CJ Renato Corona. He too shared a video link from Youtube showing the former COA commissioner taking the witness stand. 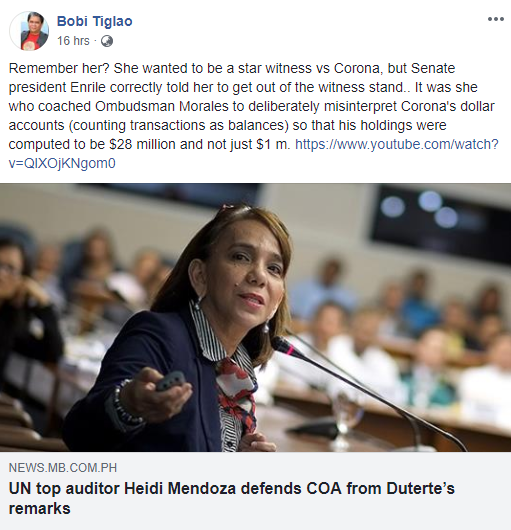 According to Tiglao, Mendoza was also the one who instructed Ombudsman Morales to purposely misinterpret Corona's dollar accounts so that his holdings were computed to be $28 million and not just $1 m and as a reward, former President Noynoy Aquino allegedly nominated her to a UN post. "Remember her? She wanted to be a star witness vs Corona, but Senate president Enrile correctly told her to get out of the witness stand.. 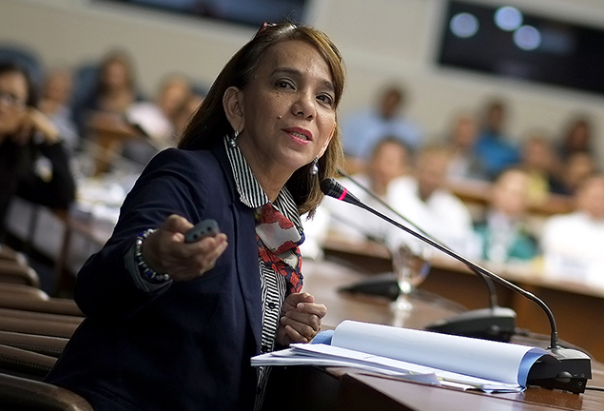 It was she who coached Ombudsman Morales to deliberately misinterpret Corona's dollar accounts (counting transactions as balances) so that his holdings were computed to be $28 million and not just $1 m.", he exclaimed. "Aquino of course richly rewarded her by nominating her to that UN post. ", he added. "Remember her? 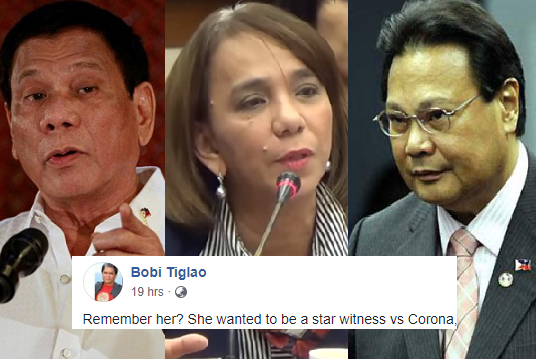 She wanted to be a star witness vs Corona, but Senate president Enrile correctly told her to get out of the witness stand.. It was she who coached Ombudsman Morales to deliberately misinterpret Corona's dollar accounts (counting transactions as balances) so that his holdings were computed to be $28 million and not just $1 m."
"Remember her? An Aquino appointee to the COA who had retired already, she falsely testified (portraying herself to be objective as she was with COA) that $28 milllion entered Corona's dollar holdings. She devilishly counted a $100 deposit and a $100 withdrawal as $200. In reality, Corona had just $1 m. When she was ordered out of the witness stand, Ombudsman Morales simply read Heidi's false report. Aquino of course richly rewarded her by nominating her to that UN post. Ang kapal nito na sasalita-salita pa ngayon, claiming COA is a respected institution. It was she who made COA Aquino's deadly weapon."